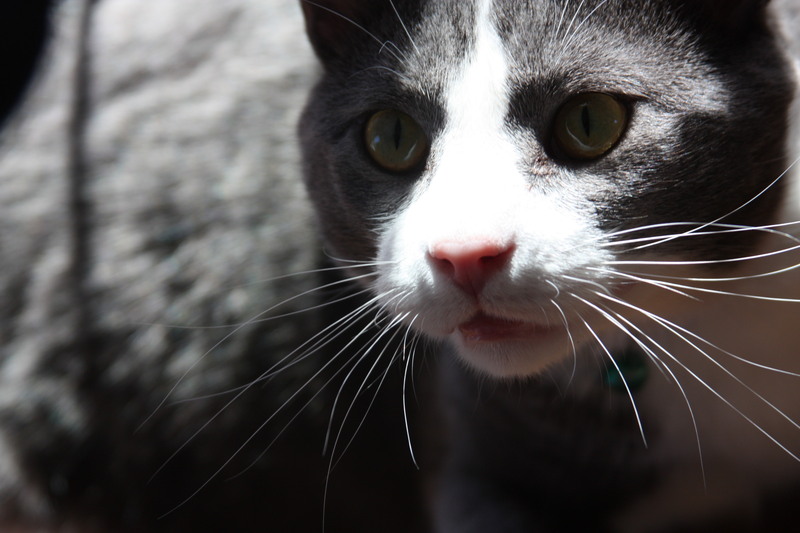 I have this adorable cat Mylo, he doesn’t like having his picture taken but when I promise him a treat he sometimes cooperates. He received a few treats for this picture. With indoor cat ownership comes the need to have a litter box, clean that litter box and of course buy cat litter for that litter box. I buy mine at Costco in the 30+ pound container size. Once those containers are empty, instead of tossing them in the garbage, why not turn them into a reusable storage container. Today’s DIY is another one of those under 30 minute projects that when you are finished the item is actually quite useful…and have I ever mentioned how I hate to throw out anything that I think can be reused, recycled or repurposed. How to make this is almost self explanatory but I will include step by step pictures so you will know exactly what I did. What you will need to make your own recycled cat litter container: empty cat litter container, scissors, Sharpie pen or marker, jute or twine. The label is very easy to remove with a pair of scissors (yay it is not glued on). There is a great line just below the top of the container that you can use as a guide to cut all the way around the container. If you are worried your cutting might be off center or not very straight, you can use a Sharpie pen or marker and trace along the line. Once the top is cut away from the bottom of the container be sure to wash out the container thoroughly before using. If you want handles mark out two more areas and use your scissors to cut them out. I chose to fill in the top of the handles on one of the containers with jute to make it easier on my hand when carrying it. 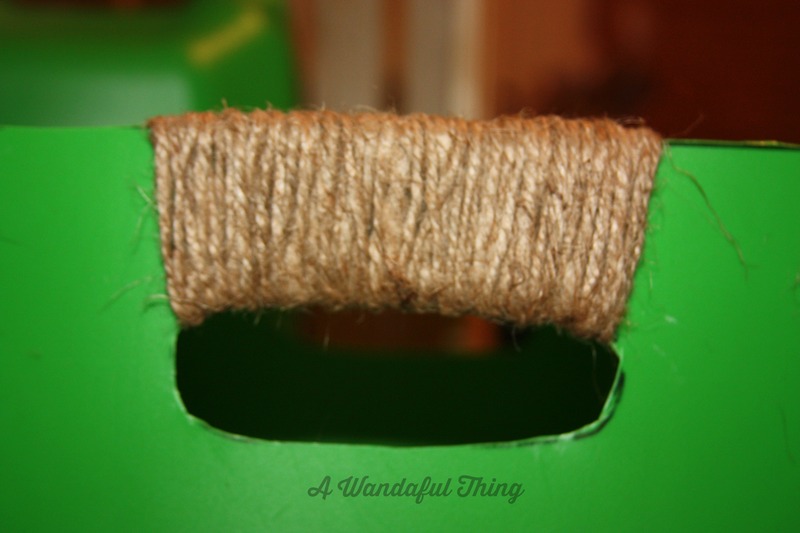 For the jute handle, I tied the jute on the inside of the container, so it would not be visible, and wrapped it around until it was completely covered and then tied it off again in the back and tucked in the ends – you could also use a glue gun and secure the jute that way. Here is a before and after picture of where I used these containers. I admit I had a few too many bottles, cans and other containers (that, of course, I plan to reuse) that were making my storage shelves look pretty darn messy and I think these recycled cat litter containers really help to corral my mess, along with the use of my wooden crate. If you are wondering what I am going to do with all these bottles and containers, I do have plans for most of them and will be sure to link a future post to what they become! 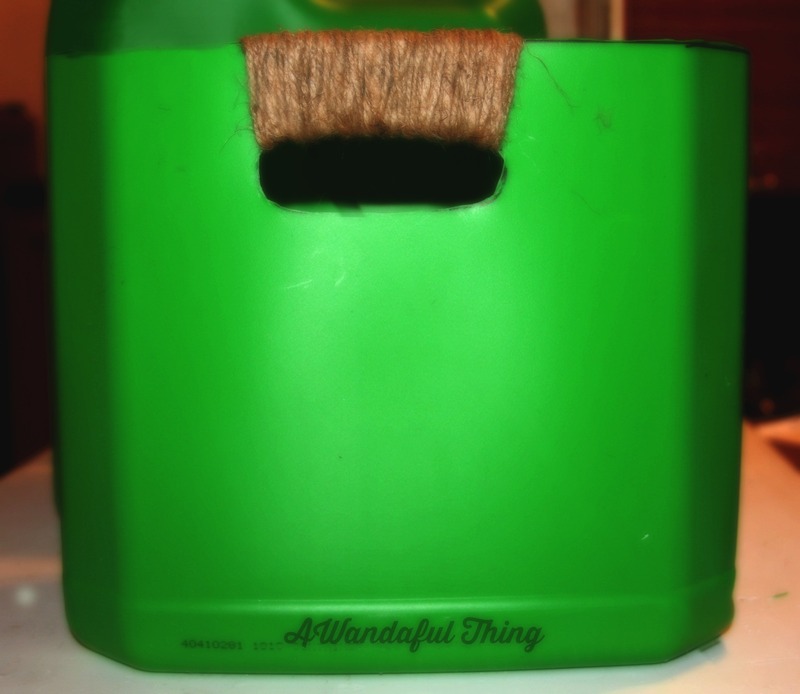 DIY Recyled Cat Litter Containers – It’s A Wandaful Thing!!! 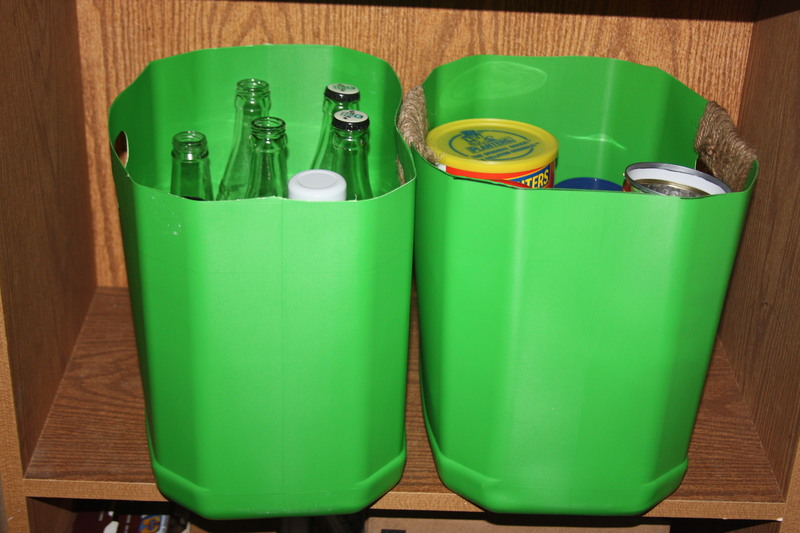 This entry was posted in DIY, Make and tagged cat, cat litter, cheap, container, corral, DIY, easy, living, mess, repurpose, reuse, simple, storage, wood. Bookmark the permalink. Thumbs up! The idea is awesome! Greets, Storage Frognal Ltd.